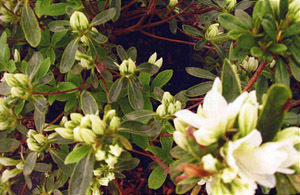 The single, rounded white flowers are up to 3" across on this Girard hybrid Azalea. It's large, spreading habit makes it a great landscape Azalea. The green foliage is lighter than most other Girard types.